This overskirt has been driving me batty. The more hours I spent carefully hand sewing on the layers of trim, the less I liked it. It got to the point where I really didn’t like it at all. The layers of seams and trim made the outer edge so stiff it wouldn’t fall into folds and stay there. The center back kept popping up as if ejecting itself from a toaster. When viewed from a distance the black ruffles stood out so far from the dress they looked more like growths than a purposeful addition to style. It finally got to the point where I had to force myself to work on it. And where’s the fun in that? Why spend buckets of hours on something I was clearly bound to dislike in the end? I was torn over what to do: chuck the investment in time, or finish something that was not going to make me happy. So, after much grumbling and procrastination, yesterday I sat myself down and picked off all the trim. (I was so anxious to get it off that I forgot to take a photo of how wrong it looked with all the pieces in place.) It took a little over four hours to remove it all, but as soon as it was gone I liked the dress all over again. Instead of all the fluffy black organdy ruffles, I went with a single band of black ribbon with a like of white stitching woven down the center. It’s a cleaner look. The edge of the overskirt now falls into folds properly and the back doesn’t stick up at an annoying angle. The other thing I did was to remove the buttons and loops from the edge of the overskirt front panel. I put them there as a way to pleat the side edges into folds when the overskirt is worn, yet leave them flat for storage and ease of ironing. But they made the edge bulky and the side panels would not hang straight over them when buttoned into folds. So I decided to go with a modern solution and used large snaps instead. Side view of front panel edge: hooks and eyes on the front and snaps on the back make for a better and flatter series of folds. Placement of the snaps, back edge view. It’s probably not a period-correct solution, but the results are fantastic: the edge folds up perfectly, stays flat and the overskirt side back panels hang as they should. So I’ll live with it. HSM #8: A Fashion Crisis is Afoot. This deadline is starting to unnerve me. I’m feeling it creep down my neck like an errant spider. The odd thing is that there isn’t really that much to do…this isn’t a horribly complicated pattern and there is enough time to get it done – especially since I’m skipping French class today for the extra three hours of sewing time I’ll gain. This morning’s e-mail contained instructions for Saturday’s event – 6 pages’ worth!! Directions, maps, schedules, instructions. Whens, wheres, hows and whos. Yesterday it occurred to me that by going as a SITU-Seattle member in Edwardian costume, my role becomes one of “local color.” I’ll be a bit part player on a well-manicured stage. There will be photographers and, since this is an annual fundraiser for the Gardens, the press will be there, too. That’s all well and good, and I’m happy to help Dunn Gardens with their fundraiser. But I think I”m feeling more pressure than usual to “get it right” this time around. I’ve been going through a mental list of what I need to wear and to bring. Late Monday night I realized I have a bit of a shoe crisis. I don’t have really correct Edwardian shoes. I can’t afford to run out and buy anything, so I need to work with what I already have. This shoe thing is using up brain cells I need to finish the dress, so I’d appreciate some help. Here are the contenders – which do you favor for the job? I could probable sneak a second pair in my big picnic basket and change discreetly, if needed. The light is bad again today and I can’t get this first pair to show any detail, so please excuse the crummy images. I’m showing a lot of them, in case that helps you see the details. A pair of vintage-ish lace-up, wing-tip oxfords. They are black and aren’t comfortable for a long day on my feet, but I can always spread a blanket and “strike a pose” on the lawn whilst picnicking, chatting, reading or hand sewing for an upcoming HSM challenge. My pair of Wolkys, also black, which are completely modern but are great for long days. A pair of cheapo white flats I bought for “Regency” wear until I can afford better. And, come to think of it, I also have a pair of Regency style Nankeen boots from American Duchess. Whatever I end up choosing, they’ll be mostly hidden under a long skirt. The toes will peep out when I walk and part of the shoes will probably show when I sit. I’m hesitant to go with flats, though, because the dress will be hemmed for wear with heels. And it’s primarily that, along with style issues, that keeps bringing me back to the black oxfords. Should I just give it up and go with them? Aargh! HSM #8: The Edwardian Summer Dress. And They’re Off…! Needless to say, after losing two days to silly upsets and disruptions I have a lot to get done in a relatively short time. Today is the 4th – the event is on the 8th. Gulp. Today calls for serious effort and no fiddling around. As much as I like the layered overskirt with the pleated hem underskirt, I don’t think time warrants that kind of detail at the moment. So I’m going with a plain skirt. I can always shorten the hemline and add a pleated hem underskirt later. Like on Sunday. One decision down, who knows how many to go. It’s nearing 3:00 in the afternoon and I need time to take a break, do some hand work and read so my unhappy back can un-knot itself a bit (it does not like production sewing mode, not at all). I started this morning by layering up my dress form with all of the undergarments I’ll be wearing, then padding here and there to my dimensions. Most of the dress pieces have been cut and are ready to go. A few are awaiting final decisions. The basic core of the bodice is done. I lined it, which isn’t part of the original pattern but made it look much nicer. I cut the lining so that the center back edge aligned with the back fold where the pieces overlap and, eventually, the hooks and eyes will be sewn. That hides the edge of the lining under the fabric and will also give some additional support and stability to the stress points of the hook and eye closures. I want the stripes oriented horizontally on center of the bodice, but I don’t have the time to start piecing. So I just made a drop panel, lined it, and sewed it to the bodice at the bottom edge. The goal here was two-fold: add a bit of support for the wide waistband that will be tacked in a peak at the center and, considering the lack of period-correct supportive undergarments available for “the girls”, give the bust an extra bit of concealment. The most vigorous sport I plan on playing is croquet, but why tempt fate (and flop)? This leaves the upped edge of the bodice looking a bit too low, but a band of solid pink along the top will raise it to a more 1912-appropriate height. I’m not being overly careful with matching stripes – the top shoulders aren’t even close – but serendipity smiled when it came to the center back closure. The edges overlap so that the stripe pattern is unbroken. And that’s where I am for now. I need to figure out how to cut the pieces that run over the shoulders to form a V in the front, which I don’t expect to be too problematic. The gathered waistband in the pattern only goes around the front half of the bodice and I’m pretty sure that’s not authentic styling, so I’m going to extend it to wrap completely around the high waist. The sleeves will get a cuff. Once those are in finished and attached to the bodice the bulk of the work is done. As I’m sure you all realize by now, I can be a tad delusional when it comes to estimating my sewing times. That’s because I can’t resist the urge to play and get it “just right.” And so it went with the ribbon, and even more beading lace, last night. But it was worth it. Woah! I have to say, it took me by surprise…because it actually looks like a petticoat. I’ve purposely made it on the short side, because I want to be able to use it for subsequent 19-teens when hemlines started rising – especially with the WWI effort to conserve fabric. The armholes need a slight trimming down, then a turned self-finish edge. 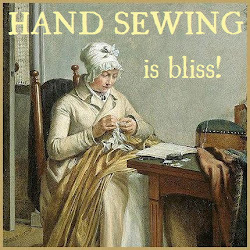 Hand sewing – yay! Better yet, because of where the upper and lower bodice ties are, I don’t need to use any hooks and eyes. And, best of all, it fits. Edwardian Undies – What, When and Where. When trying to reproduce a style from a certain era I try to be as accurate as I’m able/willing to. And accuracy starts from the skin and builds outward. It’s the basis for getting things to look right – the under layers must be correct or the outer layers won’t be. Which means that before I start on my 1912 dress I want to understand 1912 underwear. The underwear required to support the silhouette of 1905 was different from that required in 1912, and different again by the WWI years (1914-1918). I thought I had a good start with the Edwardian and Edwardian reproduction underwear I already had. Not so. The things I have work for the early Edwardian years of nipped waists and flowing skirts. None of them will work for the columnar styles of 1912. For this, I don’t want bulk – I want sleek. Fewer layers and a lot less poundage. I can do that. And I already have what I need in my stash. Combination Underwear: I have Truly Victorian #TV105, a small mountain of muslin and period mother-of-pearl buttons. I’m going to make it sleeveless to accommodate a variety of dress styles and fabrics. This is what “combination suits” looked like by 1914. TV105 is obviously more Victorian in style, but it will do. Petticoat: Happily, this will not be a monstrous fabric-eater that requires endless hours for gathering layers of flounces and ruffles. Even better, I only need one. I can make it either princess-style or with an “empire” waist, but since my 1912 dress has a raised waistline I’ll probably go in that direction. Either way, I’m eager to finally use a lot of the antique and reproduction lace I’ve been hoarding diligently collecting. Or I could just jump two years ahead and go with a 1914-style petticoat, which would serve quite as well. fortunately, I have a handful of dress patterns that will easily convert into a proper petticoat, and that mountain of muslin. I also have Folkwear #226 Princess Slip pattern, but it needs serious altering so I’m trying to avoid it. Disclaimer: I am not a fashion historian, just a fashion history student. This is by no means a rigorously researched tutorial. These are the changes I notice happening throughout the Edwardian years. 1901-1904: The S-bend corset, wasp waist and pigeon front. Skirts are smooth at the waist and hips, then flare at the hem. 1901 May fashion plate McCalls magazine. 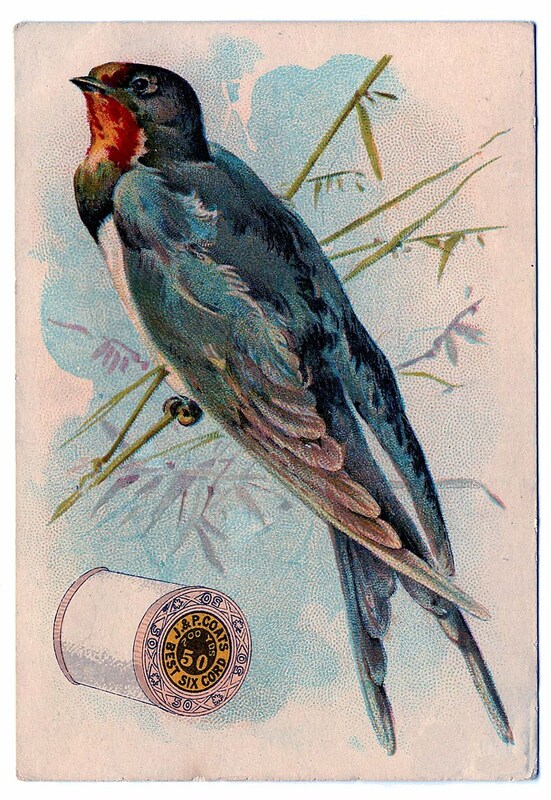 1905-1907: Droopy pigeon fronts go away and a smoother line is favored. Skirts are fuller, starting to flare at the hip. 1908-1911: A variety of waistlines are worn, but they steadily move upward. As the waistlines move up, skirts become more columnar. 1912: The waistline is up and stays up. Skirts are straight. 1913: The waistline starts drifting a bit again. Skirts gain a more ease in the hips, but lose it at the hem. 1914: Silhouettes are loosening up. Overall form is less structured, skirts are hobbled. WWI begins and the Edwardian period is long gone. Then styles start to go crazy. Waistlines come and go, rise and fall, and shapes evolve rapidly as the effects of war are felt until its end in 1918, by which time most shape has been completely lost. This past weekend was our town’s annual Victorian Heritage Festival. It was windy, rainy and cold. But that’s not why I missed it. I missed it because, once again, I hadn’t finished my Victorian clothing. And, once again, that irritates me. In addition, March is almost at an end and I’ve only completed one of the twelve HSM 2015 challenges. I didn’t make it past April last year and I want to see the finish line in December this year. I love recreating period dress. I love a wide range of eras and styles. I want to try it all. And I want to do it now. Think Historic Costuming meets ADHD, then add sugar. I sew more slowly than I used to. On one hand I’m more cautious about doing things correctly. On the other hand, I’m just slower and can’t stand to rush. I used to get into production mode when I was sewing and could go for hours without stopping (15 hours is my personal best). But not any more. I like challenges and tend to sign on to whatever looks enticing – regardless of whether I have even the faintest idea of what’s involved or not. And I choose the project for each challenge randomly. Because of #2 and #3 I consistently and chronically underestimate how long it will take to get anything done. I used to whip out a skirt in an hour, easily. 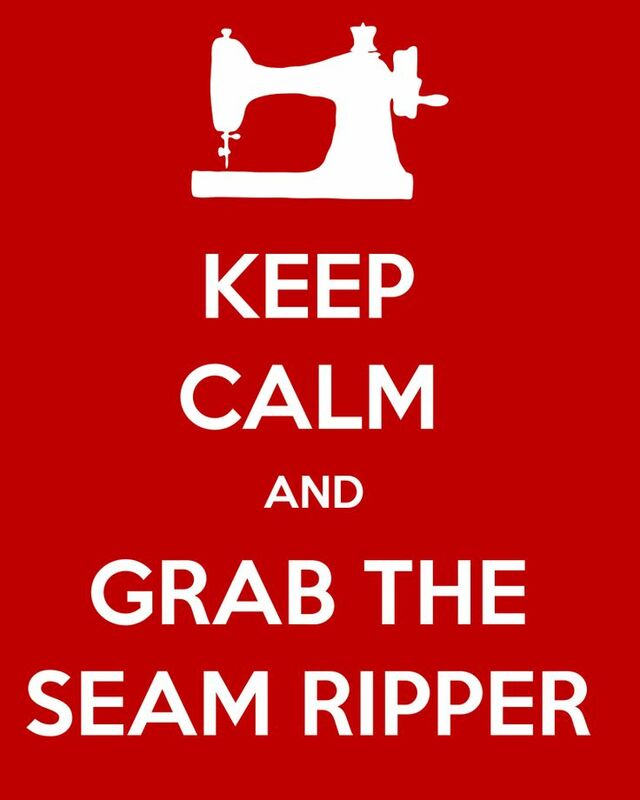 But it didn’t involve yards of fabric, flatlining, plackets, hidden pockets, and all sorts of ruffles and other hemline treatments. I tend to forget that. Events pop up throughout the year and I think “Ooh – I want to do that one, too.” So I stop what I’d started, start something new, can’t get it done in time and find myself with two unfinished projects, instead of one. The corollary to #5 is that since my historically-correct underwear collection is, shall we say, sparse, heading into a new style means sewing everything from the inside out. An Edwardian tea coming up? I can’t just make a dress. I need corset, princess slip and petticoats, stockings, gloves, shoes. The same goes for Regency, Romantic Era, all the Bustle Eras and on and on. The problem is glaringly obvious: I don’t really have a plan with/for any of this. 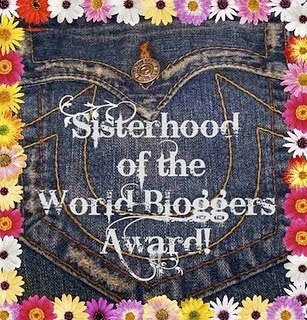 So I let that thought percolate a while, after which I changed my perspective and the way I make decisions about my sewing. Instead of “What do I want to make?” I asked myself “What do I want to do in my period dress?” and “What do I need to do to make it happen?” Then things started falling into place. First, I’m letting go of the 17th Century Challenge. It’s just too much and requires techniques I know nothing about – I can’t even correctly name all the pieces of clothing. That’s a clue. But I’ll follow what the rest of the folks are doing this year and learn from them so maybe I can hop back in next year. Regency: a dress, cap, stockings, reticule and a spencer/cape/redingote. I’ll buy the stockings (silk). I have patterns and fabric for the rest. 1855: a dress, corded petticoat and a few regular petticoats, stockings, cap, bonnet, shoes, stockings and a mantle/pardessus/cloak. Have patterns and fabrics for everything but the bonnet. Will buy shoes and stockings (wool for winter). Should make a period-correct corset, but will cheat this year with the Victorian corset I already have and put a period-correct corset on next year’s list. 1888: a wintertime dress, two more petticoats, bonnet, boots, warm coat, muff. Have patterns. Have fabric for petticoats. Have antique Victorian coat buttons. Have lining for coat. Need fabric for dress, coat and muff. Will buy boots. Foundations: make something that is the foundation of a period outfit. Colour Challenge Blue: Make an item that features blue, in any shade from azure to zaffre. Project: A Civil War era houswife (hussif, husif). Stashbusting: Make something using only fabric, patterns, trims & notions that you already have in stash. War & Peace: the extremes of conflict and long periods of peacetime both influence what people wear. Make something that shows the effects of war, or of extended peace. Practicality: Fancy party frocks are all very well, but everyone, even princesses, sometimes needs a practical garment that you can DO things in. Create the jeans-and-T-Shirt-get-the-house-clean-and-garden-sorted outfit of your chosen period. Out of Your Comfort Zone: Create a garment from a time period you haven’t done before, or that uses a new skill or technique that you’ve never tried before. Project: 1855 mantle/pardesus from a period pattern. Title: Oops, I Did It Again. Accessorize: The final touch of the right accessory creates the perfect period look. Bring an outfit together by creating an accessory to go with your historical wardrobe. Project: Knitted 1860’s sontag (“bosom buddy”). Heirlooms & Heritage: Re-create a garment one of your ancestors wore or would have worn, or use an heirloom sewing supply to create a new heirloom to pass down to the next generations. Project: Late Bustle Era petticoat with antique lace and trim. Title: Ruffles and Laces and Bows…Oh, My! Colour Challenge Brown: it’s not the most exciting colour by modern standards, but brown has been one of the most common, and popular, colours throughout history. Make something brown. 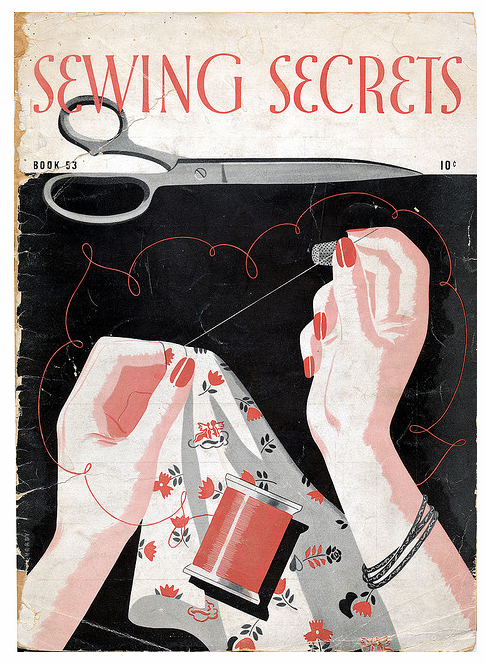 Sewing Secrets: Hide something in your sewing, whether it is an almost invisible mend, a secret pocket, a false fastening or front, or a concealed message (such as a political or moral allegiance). Title: My Pockets are Empty, See? Silver Screen: Be inspired by period fashions as shown onscreen (film or TV), and recreate your favourite historical costume as a historically accurate period piece. Project: Regency dress and cloak. Re-Do: It’s the last challenge of the year, so let’s keep things simple by re-doing any of the previous 11 challenges. This gives me most of what I need to end up with three complete wardrobes by the end of the year. I feel less mentally scattered and more focused on specific end points. I’ll be ready for this year’s upcoming winter events and won’t get caught short for next year’s Festival. HSM #2 is Done – and it’s not what you’re expecting. 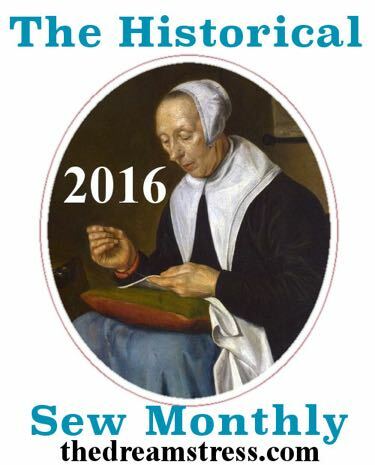 Historical Sew Monthly Challenge #2: The Blue Housewife. A “housewife” is a portable sewing kit that folds or rolls into a small size, therefore making it easy to carry. The sizes and dimensions varied, but the basic design featured small pockets for thimble and thread, plus a fabric “flap” that held the needles and pins. Using the term housewife to refer to a sewing kit appeared in print for the first time in 1749. But they were also known as huswife, hussive, or, most commonly, hussif, which appears to be the contraction of the word “housewife” in the dialect of Lancashire. My housewife for this challenge represents the years of the American Civil War, hence the name “The Blue Housewife.” It has four cotton pockets and two flaps of boiled wool (for securing needles and pins). It folds into a rectangle of 4 1/4 inches x 3 1/4 inches and ties with a thin black ribbon. Please note: the colors of the red wool flap and the pink fabric on the inside ends did not photograph well. They are not neon, but that’s how they came out. In reality, they are deeper and more subdued shades. HSM #2 – Colour Challenge Blue: Make an item that features blue, in any shade from azure to zaffre. How historically accurate is it? Very. For this “housewife” I used 100% cotton and boiled 100% wool. It is hand sewn. The cotton fabrics are reproductions of American Civil War era prints. The patterns in the wool would also have been available at that time. First worn: Not yet used. Total cost: $1.00 for the spool of ribbon. Everything else was in my stash. I’m here to confess that my creative venture with the styrofoam cup is no more. Essentially, the more I tried to hide it the more obvious it became that I wasn’t making a “normal” reticule. So, in the barren swamp that is Saturday night television, the cup and the reticule parted ways. 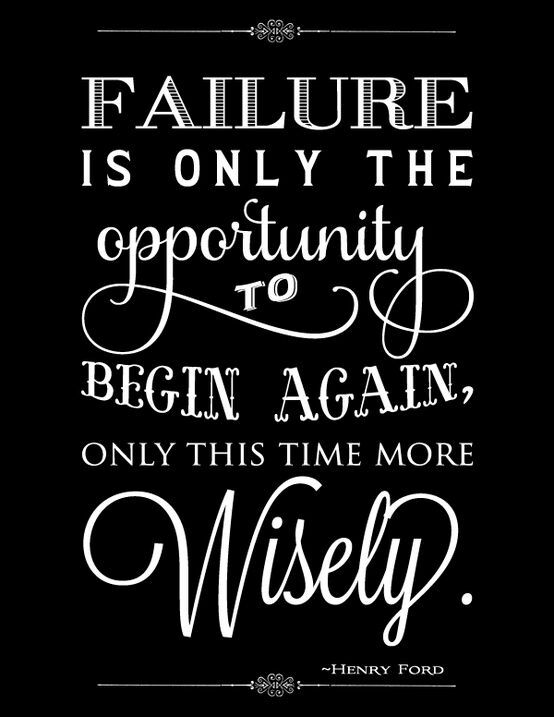 But I don’t regret giving it a try – I learn a lot from experimentation. Getting rid of the cup was clearly the right choice – things improved immediately. The shape softened up, no surprise there, and it was much easier to work with. The lining went into place without a fight. I added a padded bottom, then secured it to the inside base. Now I was making progress. And not egregiously cheating on the historical aspect of these challenges (yeah, I was starting to feel like a bit of a cheat). Before I finished last night I got the first side panel of the drawstring top fabric hemmed and pinned into place. You’ll see that in the next post. As for other news, the 100-yd spool of natural cotton twill tape arrived yesterday. It may very well be enough to last me for the rest of my life, but the price was good and now I won’t have to waste time and gas driving to “the city” to get more. Here it is – the stapler’s there for scale. Best of all, the linen arrived! It’s beautiful and exactly what I want for the chemise. There’s enough to make a fichu and a cap, as well. I looked up instructions for the care and feeding of 100% linen, so it’s currently in the washer to shrink its little heart out. As some of you may recall, it took me three months to hand sew my first Regency chemise, but I spent at least half of that time figuring out the gussets. This chemise is for HSM #1, which is due January 31, st, so no lollygagging around this time.